Titan Juxt Pro is a full digital smartwatch from traditional watchmaker as opposed to the analog one launched before. Titan has announced the launch of its second smartwatch, Juxt Pro in India. Titan Juxt Pro is the first fully touch enabled smartwatch from the company. Titan Juxt Pro follows on the principles of Juxt smartwatch but is now a full fledged smartwatch. It features a 1.3-inch full circular display with a resolution of 360 x 360 pixels. The display is protected by Corning’s Gorilla Glass 3, which should make it scratch resistant. The Titan Juxt featured a regular watch hands embedded with OLED display to show notifications. Titan Juxt Pro’s, thanks to its circular display, offers option to customise watch face. 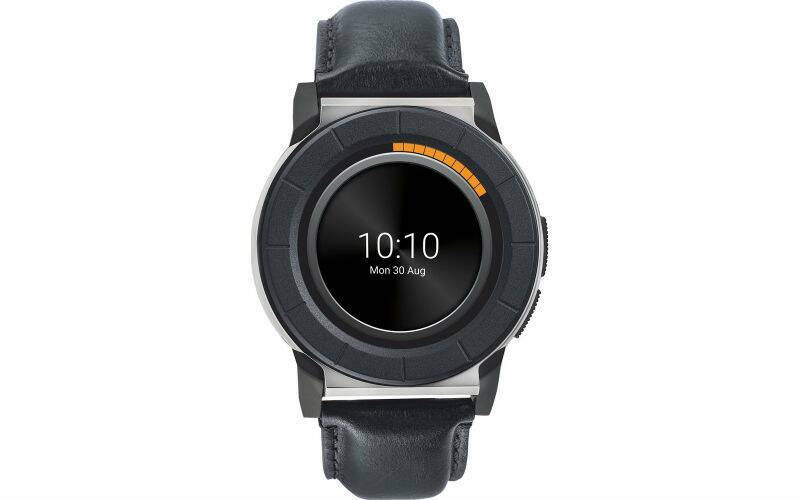 The smartwatch is powered by a dual-core 1GHz processor coupled with 512MB RAM and 4GB storage. Titan Juxt Pro comes with a rechargeable 450mAh Li-Pro battery which Titan claims should last around 36 hours of normal use. Like with most other smartwatches out there, Titan Juxt Pro also comes with its own set of fitness options. It tracks step count, distance covered and active calories burnt. The data is recorded with the help of app and the app shows week’s data in a graphical format. Like its predecessor, Titan Juxt Pro also shows incoming text notifications including the ones from apps like WhatsApp. The incoming notifications are displayed here for three seconds and later appear as red dot on the top center of the Watch display. Titan Juxt Pro also comes with a safety app which acts as a panic button. The safety app can be easily accessed by short pressing button on the fourth hour. Titan Juxt Pro connects with any Android or iOS device with the help of Juxt Pro app.